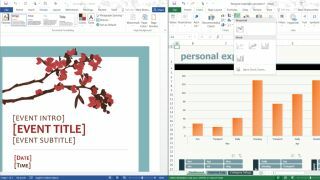 It probably won't surprise you to hear that some new research has discovered that when it comes to finding new staff members, proficiency with Microsoft Office has become a vital element in terms of the most prized skills employers look for. Highlighting their Microsoft Office skills is one of the most important things job hunters can do according to the IDC study, which put Office at number four in the top 20 most required skills across all occupations (not just the tech industry). The three skills which beat out Office were oral and written communication skills – which was number one by a long way – followed by problem-solving, and then integrity (not so much a skill as a trait, but never mind). The latter two were only slightly ahead of familiarity with Microsoft's productivity suite; that's how important and all-pervading the software has become these days. The IDC study encompassed some 76 million job postings over in the US, so it's a pretty thorough piece of research to say the least. As well as the Office suite at number four, Microsoft's PowerPoint presentation software came in at number 16 on its own. IDC further noted that almost one in eight (12%) of what the firm calls 'high-opportunity positions' (the best jobs going in terms of predicted growth and wages) ask for Microsoft Office-related skills. When you combine that number with the high-opportunity jobs that require Office, this figure grows to almost 20%. Anthony Salcito, Vice President of Worldwide Education at Microsoft, commented: "While over the past three years we've seen the breadth of needed skills for jobs increase by 68%, we've also seen that communication skills, including proficiency in Microsoft Office and PowerPoint, remain vitally important for success in the workplace."